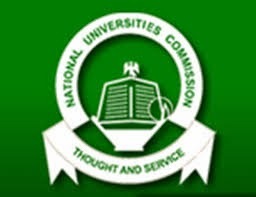 The National Universities Commission, NUC, has shut down nine universities in Nigeria for operating without legal licenses. The publication of the affected institutions was published in the NUC weekly bulletin. Report says the Prof. Julius Okojie, the NUC’s executive secretary, signed the publication. He stated that the universities have been in existence for years and have just being extorting money from students who were given fake certificates. the satellite campuses of Ambrose Ali University. The publication also reveal that: “In addition to the closure, the following `Degree Mills’ are currently undergoing court actions; the purpose of these actions is to prosecute the proprietors and recover illegal fees and charges on subscribers. “For the avoidance of doubt, anybody who patronizes or obtains any certificate from any of these illegal institutions does so at his or her own risk. NUC also persuaded Nigerians to disconnect themselves from the institutions and their certificates. While some are being closed, new private universities have been recommended to the president for approval. NUC also stated that they are considering introduction of a pre-Doctoral Programme in the postgraduate studies in Nigerian universities. This was said while Prof Okojie was at an interactive session with Education Correspondents Association of Nigeria (ECAN). He explained that the universities listed on the proposal sent to the president through the Mallam Ibrahim Shekarau, Minister of Education have all being approved by NUC but would also receive the input and approval of the Federal Executive Council (FEC). He said access to university education has been a challenge in the country with over one million Nigerians, who were, on annual basis, unable to gain admission into the limited tertiary institutions because of low carrying capacity. The executive secretary of NUC has said, that NUC is considering the introduction of pre- Ph.D. programme in Nigerian universities based on the recommendation of some of the vice chancellors.